A very common misconception is that a saltwater pool is somehow a chlorine free pool. This is not the case. A salt water pool is simply a pool that utilizes a chlorine generator to keep the pool water sanitized. 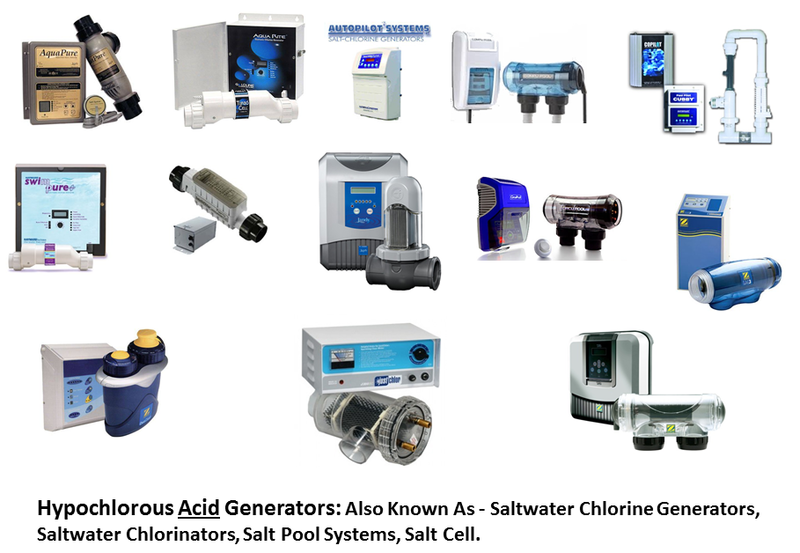 Chlorine generators are the primary method of water chlorination in saltwater swimming pools, and those who have saltwater swimming pools swear to the convenience of having a salt generator. What exactly does a chlorine generator do, and how is it such a convenience to the pool owner? A chlorine generator’s purpose is described in the name, as its purpose is to produce chlorine for your swimming pool. The immediate advantage to this is that you do not have to go to your outdoor supply retailer and buy it, nor do you have to store or even handle the chlorine. Properly functioning chlorine generators will produce chlorine constantly so long as the generator itself is running. This keeps the levels of chlorine in your pool water at a level, which prevents algae from growing in your pool. On one hand Chlorine does kill various viruses but on the other hand Chlorine contains Trihalomethanes (THMs) which are a family of very dangerous and hazardous chemicals which are collectively linked to cause cancer. THMs are absorbed through your skin which is the body’s largest organ. THMs are known to cause asthma and are also linked to bladder and colon cancer as well as being linked to reproductive issues, low testosterone and birth defects. It works through a process called electrolysis. This is where the water that passes over the chlorine generator cells produces chlorine that transforms into Hypochlorous acid. Hypochlorous acid is what all chlorine, from liquid chlorine to gas chlorine to chlorine blocks, creates, and this acid sanitizes the water. There are two types of chlorine generators being used in residential pools. The first is called a brine unit. These do not require the pool to have salt already in the water because these units have a tank or some kind of holding chamber that already has salt in it. Through the aforementioned electrolysis, chlorine is produced and pumped into the pool’s water circulation system. The drawback to this kind of generator is the amount of by-product produced. These kinds of generators are very messy, and the by-product they produce is not easily disposable. The other type of chlorine generator requires salt to already be in the water. Now even with this kind of generator, there are two differing types: One that generates chlorine while the machine is turned on, and one that generates chlorine regardless of whether the machine is powered on or not. One of the major drawback to chlorine generators is the high level of maintenance required. For a chlorine generator to work properly, the device must be cleaned every few weeks with Muriatic Acid to remove mineral deposits that can build up over time. Even the slightest blockage will render the entire unit inoperable until it is cleaned. 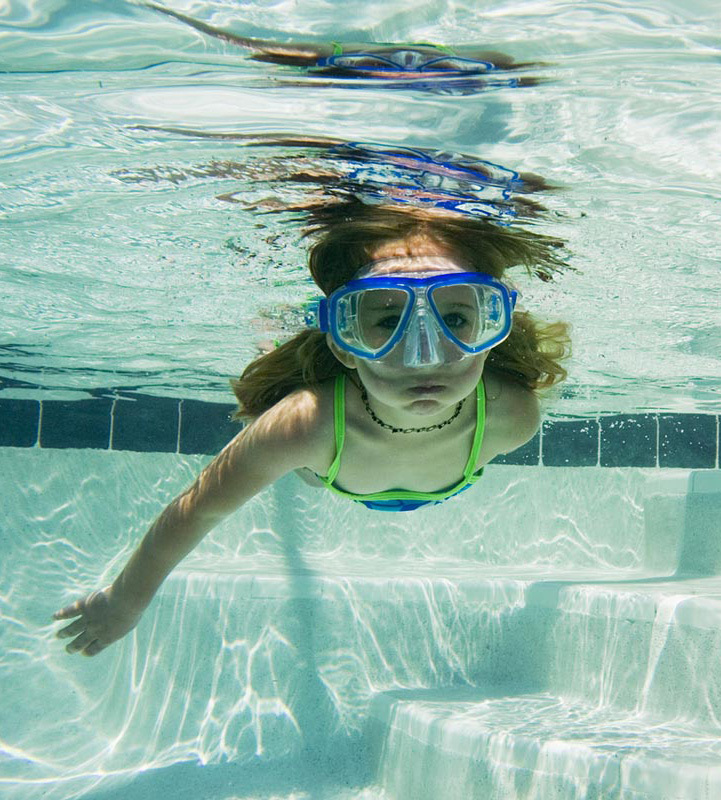 While chlorine pool generators (and salt water pools) are popular in the commercial swimming pool market, many homeowners wish that there was a safer and maintenance free alternative. However, if you are willing to put up with the extra maintenance of caring for a chlorine generator, you will find that the convenience of not having to handle any chlorine yourself hard to beat! Be CAREFUL when using Muriatic Acid to clean you saltwater pool chlorinator, Muriatic Acid is extremely dangerous and hazardous to your health. The Center for Disease Control and Prevention (CDC) in a federal study. reported that there are an average of 4,700 cases of injury and illness caused by swimming pool chemicals in the United States reported annually. Don’t be another statistic!